The largest headline of Germany’s slate of state elections today will be the rising success of the eurosceptic, anti-immigrant Alternative für Deutschland (AfD, Alternative for Germany). But it really shouldn’t be. Even at the height of anti-refugee sentiment, the AfD that won no more than 23% of the vote in any state, and it will not come close to holding power in any of those states. 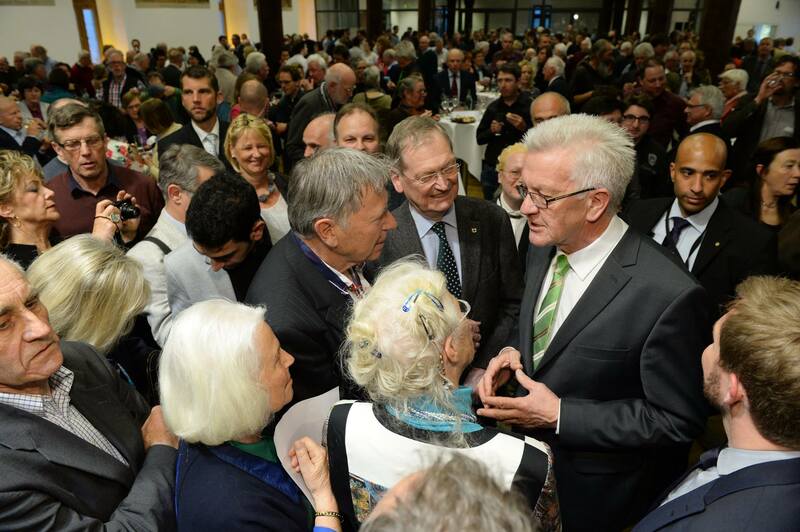 Meanwhile, Winfried Kretschmann surged to what should almost certainly mean reelection as minister-president in Baden-Württemberg, a sprawling and prosperous state in southwestern Germany, home to 10.6 million people (Germany’s third-most populous). With a rich industrial heritage in and around Stuggart, the state is home to Daimler, Porsche and software manufacturer SAP, and it currently has Germany’s lowest unemployment rate (4.0%). Kretschmann came to office in 2011 through something of a fluke, when his party, Die Grünen (The Greens), narrowly outpaced its center-left coalition partner, the Sozialdemokratische Partei Deutschlands (SPD, the Social Democratic Party). Together, the two parties managed to win more support than the center-right Christlich Demokratische Union (CDU, Christian Democratic Union), the party of Germany’s powerful chancellor Angela Merkel, and a party that had long dominated a thrifty state of southern German conservatism, ruling almost without interruption for 60 years. The SPD may have withered to the point where Kretschmann will need to find a new governing coalition. But in 2016, for the first time in the postwar period, the CDU wasn’t the first-placed party, falling behind the Greens. That’s due in part to the AfD’s rise, siphoning votes from the CDU, but it also has to do with the wildly popular Kretschmann. Originally, the Green Party’s success derived from the party’s longtime support for phasing out Germany’s nuclear power. The 2011 state elections came just days after a devastating earthquake that triggered a nuclear disaster at Japan’s Fukushima reactor, the world’s worst since Chernobyl. Later in 2011, Merkel herself reconsidered her support of Germany’s nuclear energy program, announcing that all reactors would be decommissioned by the year 2022. But over the last five years, Kretschmann has become a model of the business-friendly left. A fierce West German communist before he was elected for the first time to the state assembly, the Landtag, in 1980, Kretschmann today is a grandfatherly centrist, a devout Catholic who has worked with German industry (and not against it) in a bid to enhance wind power and other sources of renewable energy. Kretschmann features in one of his party’s television ads, quietly woodworking in his overalls. Kretschmann, the leader of a state that lies on Germany’s southern and western borders with France and Switzerland, has called for limits on migration, especially from the safer Balkan countries. But unlike leaders in neighboring Bavaria, he has hewed a middle line of the refugee crisis that’s roiled German politics since last summer. He’s said that he’s prayed for Merkel’s success as the only person with the ability to strike a Europe-wide deal on migration targets, placing him closer to Merkel, somewhat awkwardly, than the local CDU leader, Guido Wolf, who increasingly hardened his line on migrants in an attempt to protect the CDU from the AdF threat. For some time, Kretschmann has been the most prominent of the pragmatic ‘realo‘ faction of the Greens, and he was a leader in the libertarian, ecological humanist movement, the ökolibertären, of the 1980s. After the CDU backtracked on nuclear energy, there was even a chance that the two parties could have joined together in an unprecedented ‘black-green’ coalition at the federal level after the 2013 elections. Despite serious talks, the alliance never materialized, though Kretschmann could still one day play a vital role in such a black-green coalition. As Germany’s 2017 federal elections approach, the SPD and the Greens are left to contemplate what still seems likely to be a Merkel romp, despite her flagging unpopularity over the refugee crisis). Kretschmann, though, is one of a handful of state-level leaders who could shake up national politics if he challenges Merkel for the chancellorship. Perhaps more importantly, Kretschmann’s success in the heart of Europe shows that there’s still a place for prudent centrism as western democracies increasingly polarize from the Trumpian right to the Corbynite left. Very interesting, Kevin. But what if we look down the road a bit and consider the prospects for B-W’s export-oriented economy?